Along with the new Google Maps app comes the loss of another app. 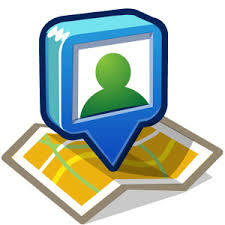 Google announced today that Google Latitude is being retired by the company effective August 9. You’ll no longer be able to share your location via Latitude, and your friends list will be deleted. To prepare, the new Google Maps app of course does not have Latitude as a feature. Considering you can share your location on Google+’s Android app, Latitude began to seem a little unnecessary. Location sharing is integrated into every social network these days, so an app solely for location sharing is no longer needed. At least what Google thinks! I have been using Google Latitude a lot to share my information (location) when am traveling with specific people. Of course you can do that from Google + but then one has to go the Plus Dashboard and enable the location and set the circle or only yourself to share the location with. There is no official release but if one goes through the change log of new Google maps, one realize that its gonna die on August 9.